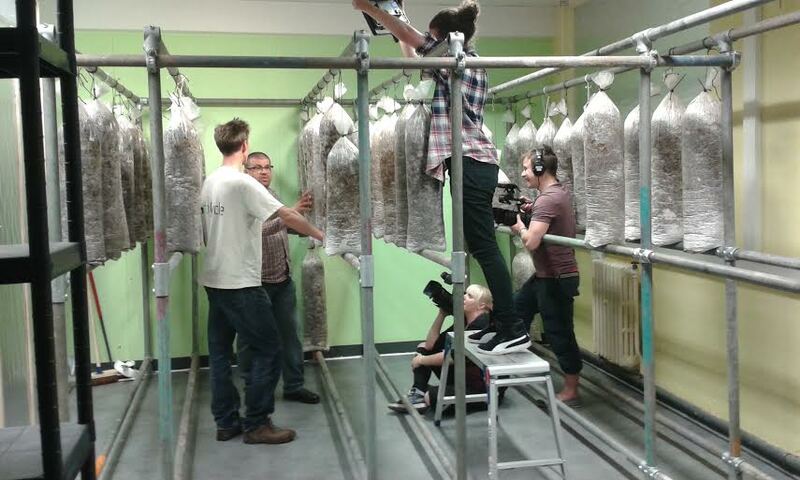 We had a great time recently filming for BBC’s The One Show. Like so many people we speak to, the show’s team was very intrigued about how you can grow mushrooms on used coffee grounds. Something we think should be done in cities all around the world. Filming is a tricky business though. With Devon’s weather being so changeable, it’s hard to stick to a schedule! After cycling along Exeter Quay, collecting coffee, and making numerous espressos at the awesome Artigianos café, we finally took the crew to our brand new Urban Mushroom Farm in Exeter. The presenter & chef Ricky Andalcio was amazed to see how we take the coffee and turn it into what must be some of the freshest and most sustainable mushrooms out there. Word is obviously spreading, as only a week or so after the filming we were invited to join Jay Rayner and take part in Radio 4’s The Kitchen Cabinet. 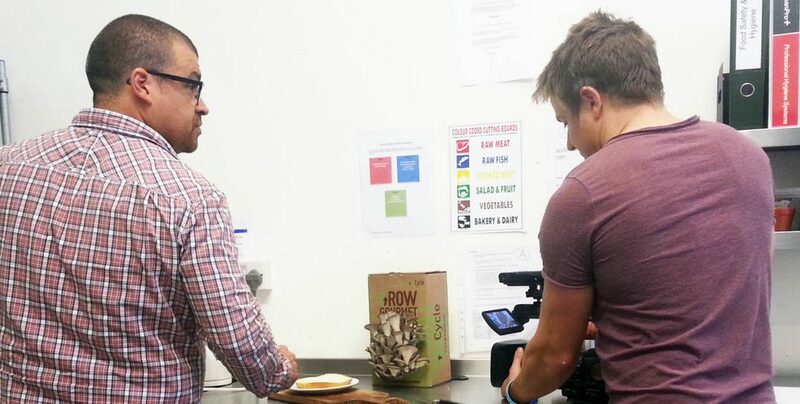 It was a bit daunting for Eric to cook our mushrooms for a panel of food experts. They loved the taste though and like most people, they were pretty intrigued by our Grow Your Own Kits as well- an ideal Father’s Day Gift!